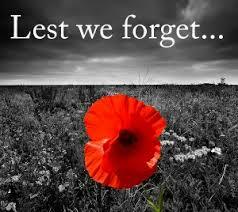 As an Australia n the saying ‘Lest we forget’ is one that resonates with me deeply. It is a time to remember what it means to be Australian as well as reflect on what people who are not too different from me have sacrificed to enable me to live in a free society. Sometimes it is good to take the time to practice gratitude for what we have in our lives. Studies show that we can consciously grow gratitude, and can increase our well-being and happiness by doing so. In addition gratefulness, especially expression of it to others, can increase energy and empathy. Over the next week take some time to remember to be grateful and mindful of the world around you, and perhaps these tips may be of use as you return to your studies after the Easter recess. Remember our Skype Drop In Sessions are up and running for the remainder of the semester with the exception of this Tuesday’s 8pm session. It seems like the Easter Recess has snuck up on everybody this year and that we are all feeling in need of some time away from Uni. Like students, the staff here will also be having a break over Easter and that means the University will be closed between Friday 14th and Tuesday 18th April and no Skype Drop-In Sessions will not be on during the above dates. Today and tonight (Thursday 13th May) there will be Skype Drop-In at 2.30-3.30pm and 8.00-9.00pm with the next session on Wednesday 19th April at 3.30-4.30pm. Outside these times there are several options to keep in mind. If you need to speak with someone urgently Lifeline offer a 24 hour telephone counselling service on 13 11 14 and you can also connect over chat. The Mental Health Contact Centre also offer 24 hour advice and referral information on 1800 011 511. Happy Easter, may it be full of the things and people you love and we look forward to seeing you all back here rested (and full of chocolate) soon!